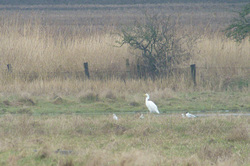 Recently a great-white egret has paid several visits to Hale Marsh and the field pools off Carr Lane. These birds are rare visitors and of great interest to the local birdwatchers and public alike. Great-white egrets are easy to tell with their white plumage, a yellow dagger-like beak and their large size. They are as big as the local grey herons and slightly taller. 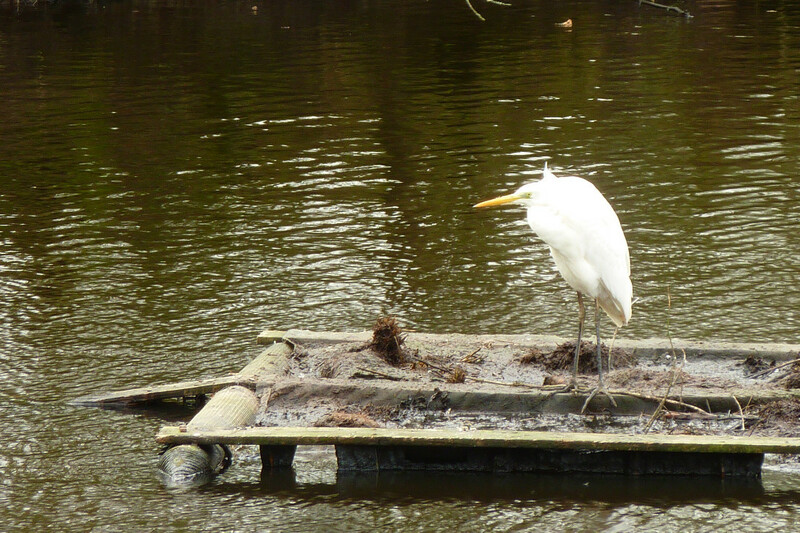 Great white egret hunkering down out of the wind on Hale Duck Decoy. 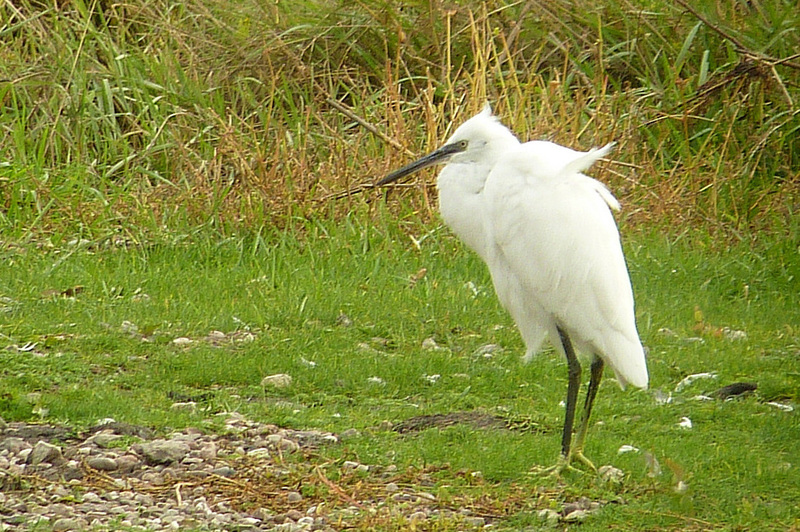 The little egret is much smaller with a dagger-like black beak and yellow feet. 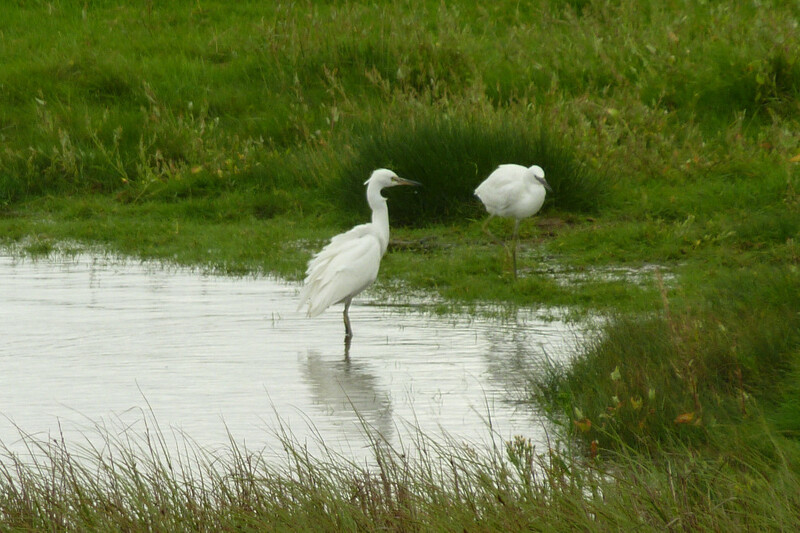 Little egret on the scrape at Pickerings Pasture. 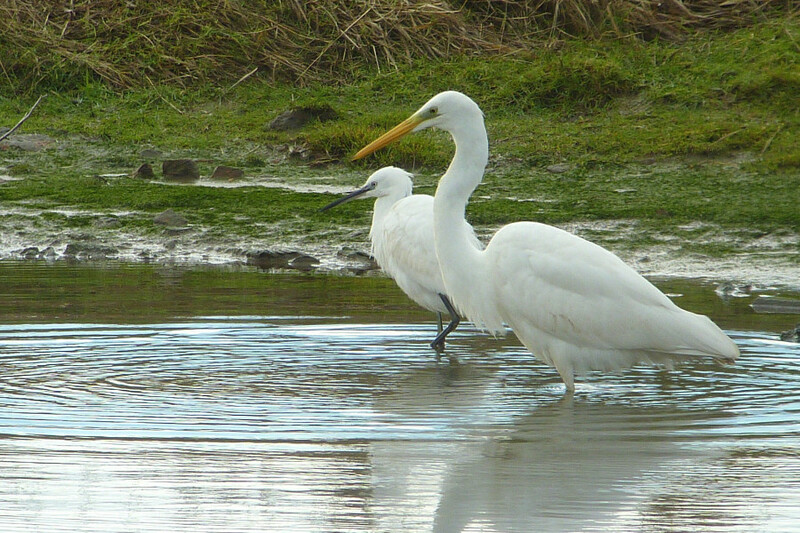 Great-white egret numbers have been increasing in France and Holland during the last few years. For the first time ever a pair finally bred in south-west England in 2011 and have continued to rear young each year. 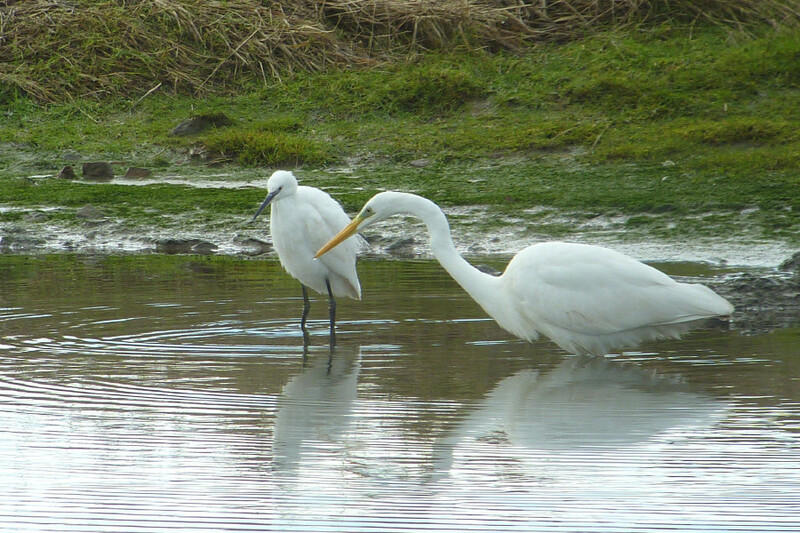 They appear to be following in the path of the little egret which, ten years or so ago, was a rarity in England. It now breeds in quite large numbers throughout the country and even into Cheshire. We assume the changing weather patterns, probably brought about by global warming, are having an effect: allowing the birds to spread further north and increasing their range. Two little egrets on a pool on Hale Marsh. 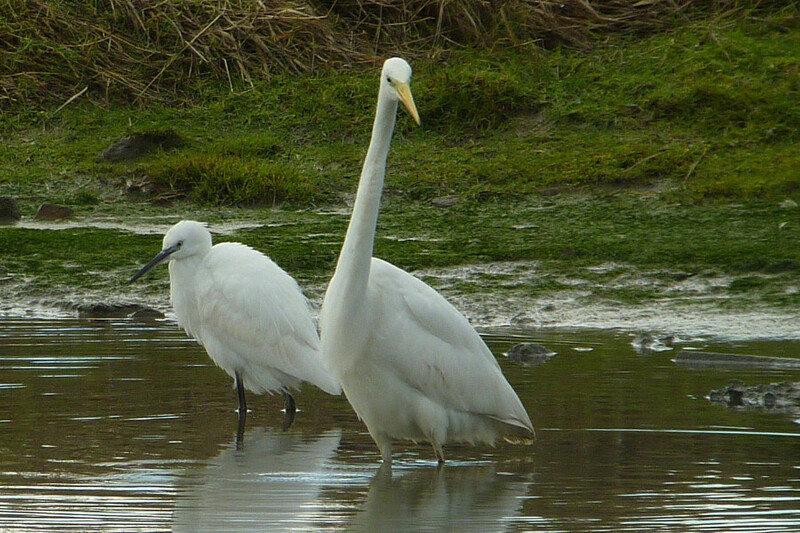 Little egrets can be seen locally from Autumn through to Spring: sometimes with up to four or five present on the local marshes or pools. Probably the best place to see them or photograph them closely is from the bird hide at Pickerings Pasture. We were pleased to see the great white egret return in the Autumn of 2013.